It’s August and most people are at the beach. Not the North Carolina Court of Appeals, however. Earning its keep, the Court today issued a dizzying 36 published opinions and several unpublished opinions. We’ll review a couple of them after this awesome image of the Dancing Itos. You know, because it’s 1995 and Jay Leno is, um, “appealing” (neither of which is true). In Izydore v. City of Durham, 09 CVS 7031 (August 6, 2013), the Court of Appeals refused to extend the attorney fee statute N.C.G.S. 6-19.1 to operate against local governments. N.C.G.S. 6-19.1 authorizes the court to award attorney fees, in its discretion, against a State “agency”. After successfully vacating — twice — the decision of the Durham City-County Board of Adjustment to divide a single lot into two lots for residential construction, the petitioner sought attorney fees under N.C.G.S. 6-19.1, claiming the City, the Board and the Durham City-County Planning Department to be a State “agency”. The trial court disagreed with that argument, and the Court of Appeals affirmed. Employing the “principles of statutory construction”, the Court of Appeals noted the reference within N.C.G.S. 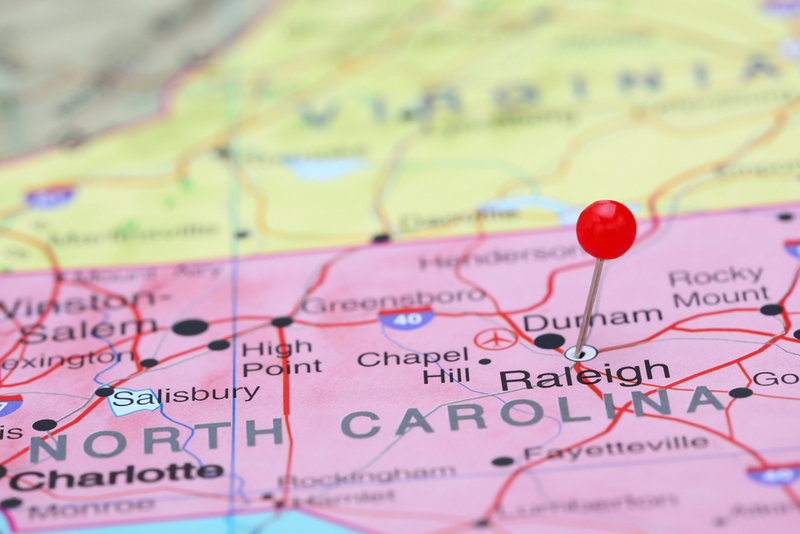 6-19.1 to Chapter 150B, the North Carolina Administrative Procedures Act. In what was obvious to the Court of Appeals, Chapter 150B expressly defines “agency” not to include “[a] local unit of government”. N.C.G.S. 150B-2(1a). Thus, the Court of Appeals concluded, N.C.G.S. 6-19.1 cannot be used against a local government, like Durham. Warrender v. Gulf Harbor Yacht Club, Inc., 07CVS1043/08CVS1270 (August 6, 20123) is a meandering dispute among property owners, a homeowners’ association, a yacht club and non-owner lessees of boat slips. We won’t address the parties or the procedural history, which is complex, in this space. We will, however, look at some highlights of the decision. The Court of Appeals looked with favor on a restrictive covenant established and recorded with the original subdivision and sale of land. The Court determined that (1) the “original intent” of the covenant must be divined, which in this case would lead to its application against all successors in interest, and (2) notice of the covenant was pretty clear in the chain of title. As to violation of the restrictive covenants, the Court looked to the language of the covenant as a contractual instrument. The Court determined that (1) 99-year boat slip leases to non-owner lessees did not violate the covenant, as those long-term leases are not “in effect sales” and no willing and waiting property owner was deprived of a right to a boat slip by virtue of the long-term leases, and (2) the Yacht Club’s efforts to charge property owners “user fees” to access the marina did violate the restrictive covenant because it is contrary to the express language of the covenant that “explicitly limited the maximum amount of maintenance costs to be contributed [by property owners]”. On riparian rights, an interesting argument in this context, specific property owners claimed riparian rights to the marina to the exclusion of any title claim by the Yacht Club. The Yacht Club, in return, contended a fee simple in the marina that trumps any riparian rights of the property owners. After a brief review of some title information, the Court concluded issues of fact exist in this realm to preclude summary judgment in any one direction. This seems like a legal question to us, however. In Riggings Homeoewners, Inc. v. Coastal Resources Commission of the State of North Carolina, 09CVS2761 (August 6, 2013), the Court of Appeals affirmed a variance in landowner’s favor permitting the use of a sandbag revetment to prevent beachfront property erosion. The Court of Appeals reviewed two “variance factors” deemed satisfied at the trial level, one to which the Court of Appeals applied a de novo standard of review and the other to which it applied both a de novo and whole record review (from which Judge Bryant dissented, arguing that the majority managed to fail in its application of both standards to the fourth variance factor). At its core, the Court of Appeals seemed to conclude that the balance between private property ownership and public beach access, in this particular instance, landed in favor of private ownership. As to the cross appeal by the private landowners, the Court of Appeals ruled that (1) the landowners’ takings claim was not ripe, insofar as the Commission’s denial of the variance was not yet final (and, in any event, the denial was reversed, such that there was no taking), and (2) the Commission’s creation and actions, which are pursuant to the Coastal Area Management Act (“CAMA”, at N.C.G.S. 113A-100 et seq. ), do not violate the separation of powers because the Commission’s creation and actions are a “constitutional delegation of legislative power” and, because the Commission is empowered to issue variances, it must follow “that judicial authority to rule on variance requests is ‘reasonably necessary’ to accomplish the Commission‖s statutory purpose” such that there is not an unconstitutional delegation of judicial power.